Aadhaar prevents ghosts – or does it? - Aadhaar FAIL! One claim made about Aadhaar often is that it “eliminates ghosts”. But does it? No. 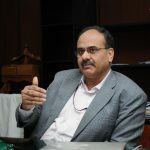 In fact, Aadhaar is among the easiest ways to create ghosts and it cannot prevent existing ghosts, because it uses the same documentation as proof. 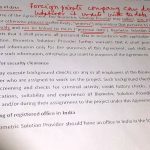 For example, if a person has two identities – his real one is Ramprasad Dashrathprasad Sharma and the bogus one is Laxmanprasad Dashrath Prasad Sharma and he is using them to say…. receive bogus payments from MNREGA or to use double the quota of subsidized cylinders, all he has to do is use both his bogus IDs to create two Aadhaars in both names. If he registers using his father’s name for one card and mother’s for another with minor differences in how he writes his own address. There have been several instances of people ignorantly enrolling for Aadhaar again after losing their enrolment slips and they have ended up with two Aadhaars without even trying to fool the system. Some such instances have been posted on social media as well. If such a person were really paranoid, he could simply obscure the fingerprints of some fingers for one ID and other fingers for the other ID to avoid a match. An IRIS scan can be fooled into thinking it is a separate person by using eyedrops to dilate the pupil. And this is without getting into things like bogus biometrics, gummy fingers and so on. This person will be able to authenticate his ID using the index finger of right hand for one and left hand for the other. That is all he has to remember. A person deliberately wishing to create ghosts for fraud cannot be prevented by the Aadhaar. It isn’t so difficult to figure out how more ghosts could be created. Have an old driving licence with a misspelled name and an address you used to live at? 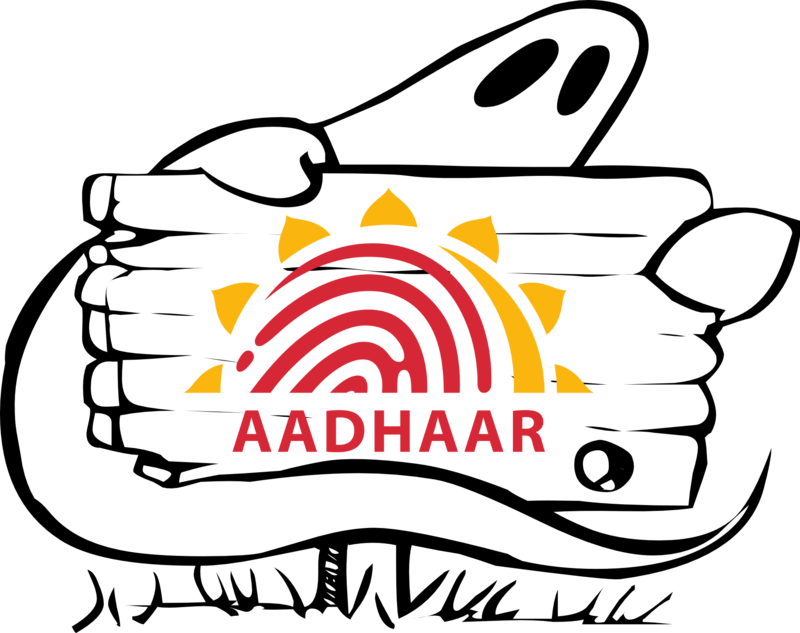 Many people have claimed that the Aadhaar card will not reach an address if it is fake. This is not true. Once you have the notification that your card has been made and will be sent to you by post, you can download and print your own cards any time. You don’t need one to be delivered to the bogus address. If the bogus address is an easy one or you have an idea when it will be delivered, you can go personally to the post office and show your fake ID and collect it as well. Aadhaar actually enables the creation of ghosts, because there is no actual service that people engage with requiring an ID. There are no people verifying the actual address of the person applying unlike your bank account or a passport. This is also supported by UIDAI’s own data. 13 out of 36 states in India have more Aadhaars registered for adults than the adult population of the state. Delhi and Telangana have more Aadhaars registered than the entire population of the states. Now. How did that happen without ghosts? The claim that Aadhaar prevents ghosts is false. 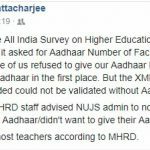 Next post: Did Aadhaar help remove 80,000 ghost teachers? Or were real teachers excluded?